Discussion in 'TV & Media' started by Cyanide Muffin, Mar 30, 2019. Sad he was the voice of Scott Tracy in Thunderbirds and did a number of Bond films as a live human character. 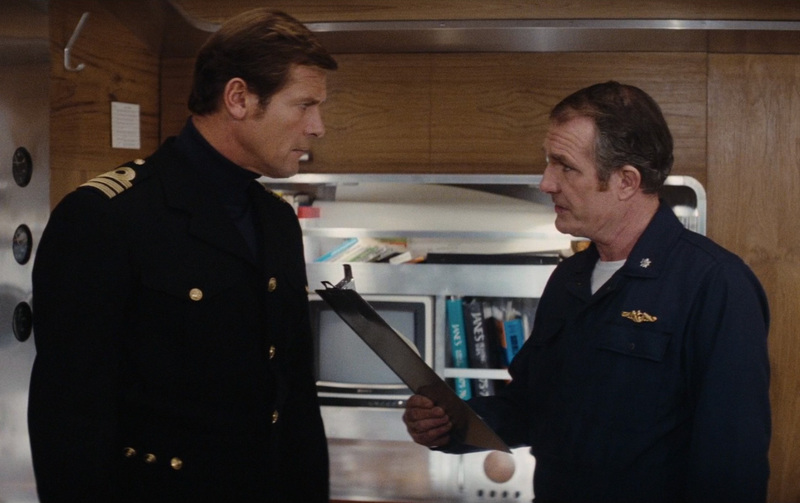 Was the sub captain in The Spy Who Loved Me. Rest in peace Mr. Rimmer. I just watched him in an episode of Space: 1999 last week. OK didn't know he made an appearance there. Also appeared in "Star Wars." He had a very distinctive, beautiful voice. I'd agree with that. When I first heard his voice in a Bond film I kept thinking it was Scott Tracy. He was in the episode "Space Brain". He was also in Superman II and Batman Begins. A full list of Space: 1999 credits (5 episodes, altogether). I've just recently watched UFO on Blu-Ray and he had a couple of small roles in that. Funnily enough he was alongside fellow UFO alumni Ed Bishop as a mission controller in You Only Live Twice and although his character in Diamonds are Forever & The Spy Who Loved Me didn't share any screen time with them, he appeared with Ed Bishop & Michael Billington (both sadly long deceased ) in those two. The closest I came to meeting him was seeing him walking up the steps of Cardiff's Motorpoint Arena to attend a Comics Fayre about three of four years ago. Aw no. That's sad news. I met him at a convention back in 2016. He was a nice guy.